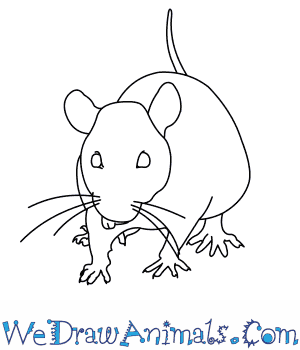 In this quick tutorial you'll learn how to draw a Black Rat in 9 easy steps - great for kids and novice artists. At the bottom you can read some interesting facts about the Black Rat. 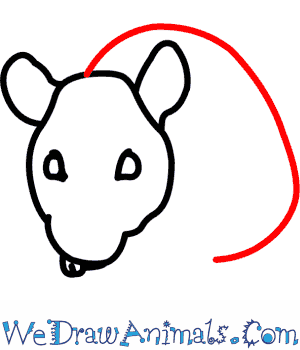 Step 1: To draw the head of the black rat, make a circle with bumps on the top and bottom. Step 2: The next step is to draw the face. 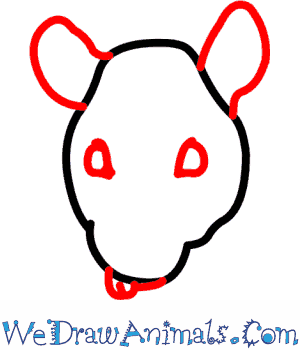 Our rat needs two eyes that are rounded at the top but flat at the bottom. Draw two teeth coming from the bottom of the head. He also needs two ears. 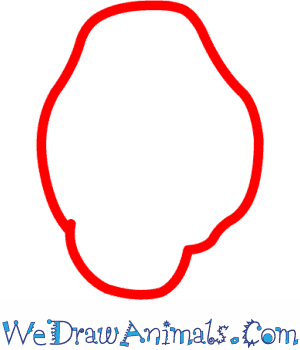 Step 3: For the body, draw most of a circle. Leave the bottom open so we can add legs. Step 4: To add the front leg, start with a longer line on the body side and a short line that starts below the face. Give him some long, thin toes. Step 5: The other front leg is very similar, only this time add a line between the legs to connect the two. Step 6: The back leg is much shorter, but looks like the first two. Step 7: All you can see of the second back leg are a few toes! 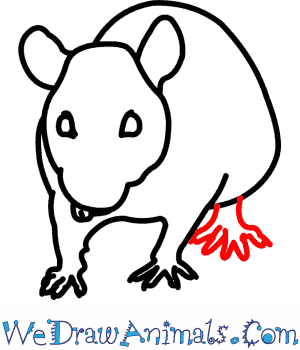 Step 8: From the center of the top of the rump, give the rat a long skinny tail. 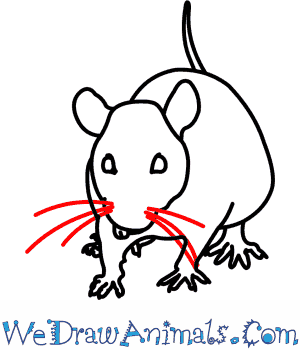 Step 9: Last, draw some long whiskers on the face. Your black rat is now done. The Black Rat has a coat that ranges in color from black to brown, with a body length of 16-24 centimeters. Its tail adds an additional 18-26 centimeters of length, and is used for balance by the rat. The Black Rat was first introduced to Great Britain by the Romans. Another common name for the Black Rat is “ship rat” because it is so often a stowaway on ships. The Black Rat is an omnivore, but its favorite foods are fruits, nuts and seeds. 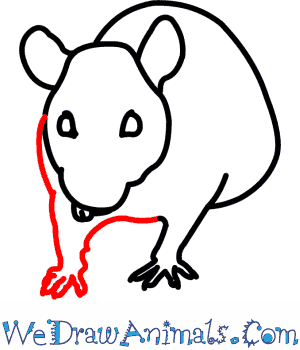 If its favorite foods are not available, the Black Rat will also eat trash, dead animals or even feces. Black Rats live in packs consisting of one or two dominating females and few males. Swimming and climbing are among the Black Rats talents. 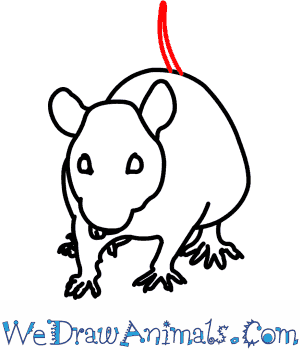 A female Black Rat only needs to be 12-16 weeks old in order to breed. The Black Rat is listed by the IUCN as a species of Least Concern. 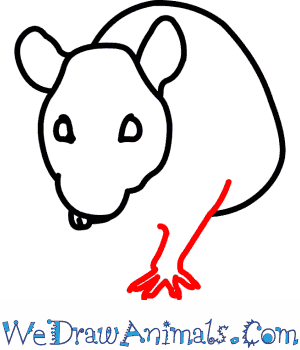 Even though the Brown Rat has outnumbered the Black Rat in many areas, there is no current threat to it as a species. The Black Rat does not have any legal protections.